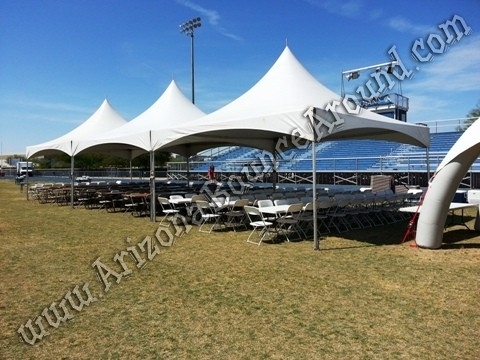 Our 20 X 20 tent rental price includes installation and removal where we can stake them to the ground. Delivery and pickup prices will vary by location and requirements so call or click for details. Hard surface setups like asphalt, concrete, etc will require sandbags or water barrels to be added to the tent rental price.